Let’s be honest, not everyone enjoys raw salads. 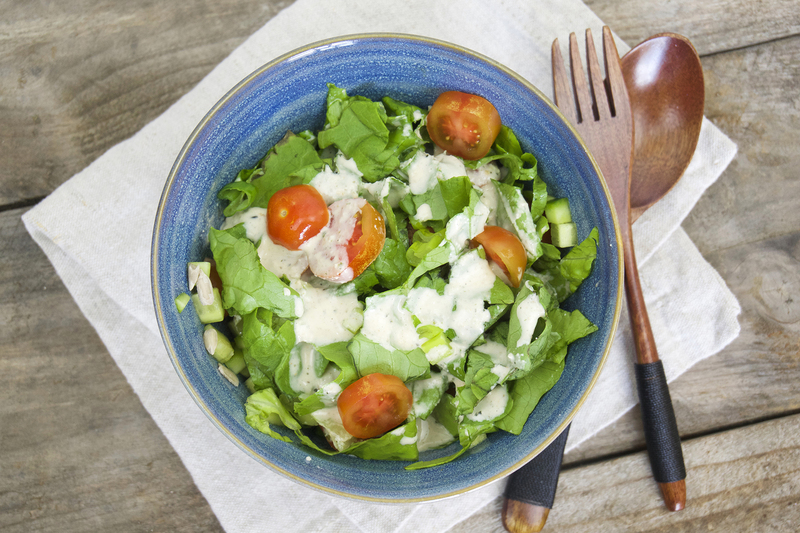 If you’re like me and prefer your greens and salads with tons of yummy dressing on top you’ll love this. 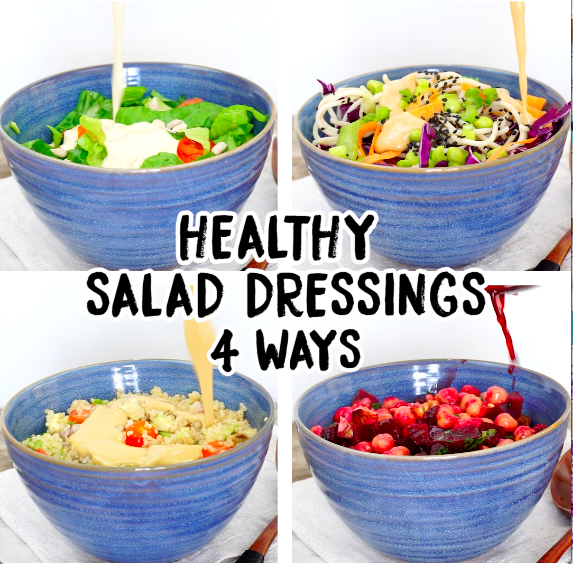 I’ve come up with 4 healthy salad dressings that are not only completely plant-based and refined sugar-free, but also oil-free, and hence super good for you! Also, they’re super easy to whip/blend up so that you won’t have any more excuses for not eating your green! 😉 I have included a variety reaching from tahini-style to caesar-style to fruity and spicy peanut dressing, so I’ve got you covered for all kinds of salads. All you’ll need to make these dressings is a good quality high-speed blender, like my Optimum 9200A and that’s it! 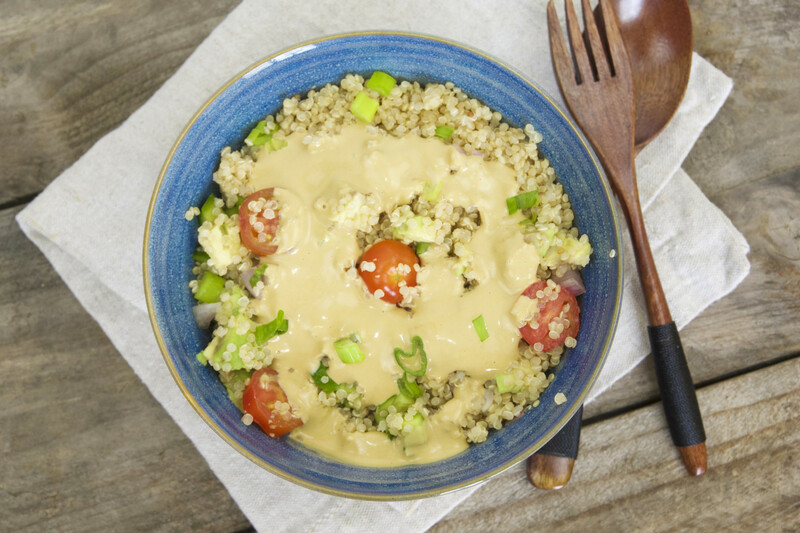 For the Caesar-style and Tahini dressing, simply add all ingredients to a blender (should be a small blender for sauces, or else the seeds won't be ground) until combined. 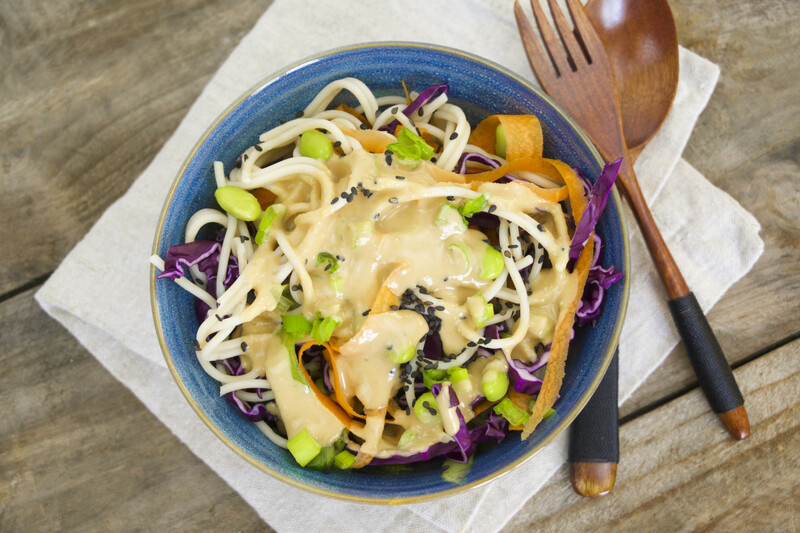 For the Spicy peanut and Fruity dressing, simply combine all ingredients into a small bowl and whisk together. For more delicious and healthy recipes like these 4 healthy salad dressings, check out my or Avocado Pomegranate Salad or my Buddha Bowl with creamy Cashew Aioli. 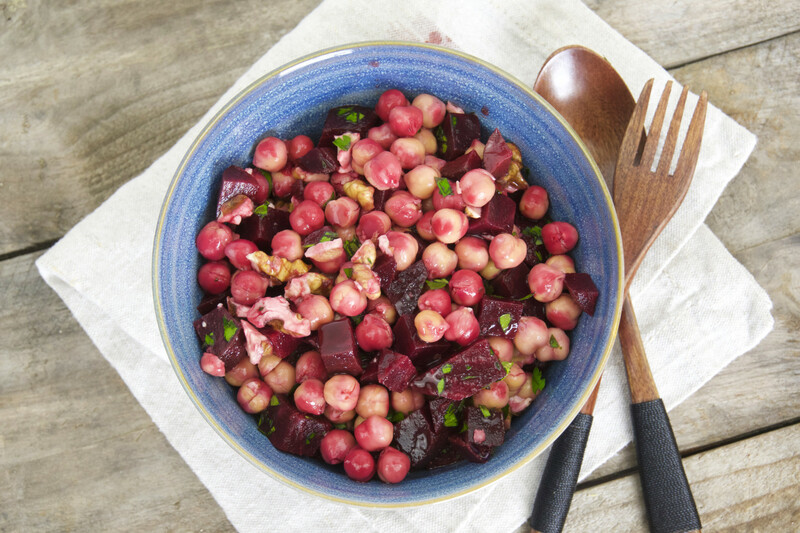 Can you tell me the recipe/ingredients for the chickpea beetroot salad? Thank you. Thanks! It looks easy & eye pleasing! At first, I thought you added fresh cherries but now realize it’s the chickpeas taking on the beet hue!